Brie Larson starrer 'Captain Marvel' is set to hit the theaters in March this year. The Upside stunned film industry pundits this weekend by asserting the #1 spot with a $19.5 million opening. Aquaman swam only behind in second place and crossed $1 billion around the world. Box Office Pro has Captain Marvel following to make between $140 to 180 million its opening end of the week. Variety is announcing that Jon Bernthal and Vera Farmiga is joining the cast of The Sopranos prequel, The Many Saints of Newark. Hulu discharged a trailer for their Fyre Festival documentary Fyre Fraud and made the film accessible beginning today. THR reports that New Line Cinema is rebooting their Final Destination franchise and have doled out Saw writers Marcus Dunstan and Patrick Melton to pen the script. Set in 1995, Captain Marvel follows Carol Danvers, a former U.S. Air Force fighter pilot, as she turns into one of the galaxy’s mightiest heroes. She joins Starforce, an elite Kree military team, before returning home with new questions about her past and identity when the Earth is caught in the center of an intergalactic conflict between two alien worlds. This is the 21st film in the Marvel Cinematic Universe. It was announced back in October 2014 and then the pieces fell into place. Brie Larson was cast in the titular role in 2016, a reveal that took place during Marvel’s Hall H presentation at San Diego Comic-Con. Principal photography started in March 2018 and ran until July of that year. 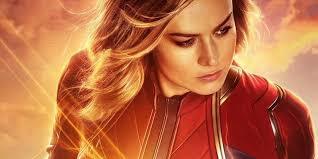 The character of Captain Marvel was teased during the Avengers: Infinity War post-credits scene, hinting at her importance in the franchise moving forward. Captain Marvel is set to release on March 8, 2019.